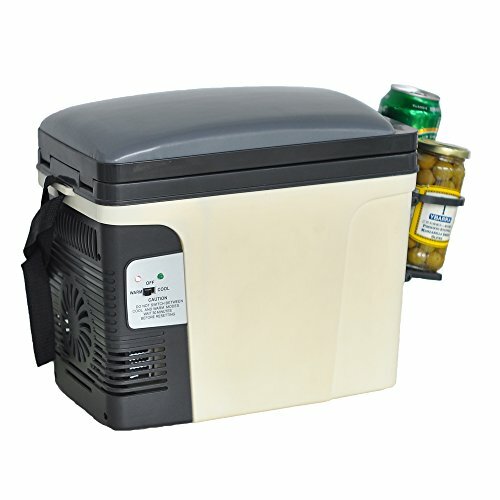 General Introduction: This Portable Cooler is great for home, camping, fishing or outdoor activities by just plugging into your vehicle's cigarette lighter or into a wall outlet with a 110V power supply (sold separately). You can take this portable cooler wherever you prefer to. And it could keep your fruits,drinks and foods cool for long time after pulled out plug during your camping, picnicing, and fishing etc. in hot days. While you are driving, it won't disturb you with low noise.It also will keep your food warm when you need. Best choice for you. 2) If you do not receive your order in 15 days, please contact us,we will try our best to solve the prtoblem. We provide 6 Months warranty for our product. If there is any problem with the product, we will give 100% satisfied solution. 1) You can contact us to return the item if you are not satisfied with the product within 10 days after you get the item. All accessories as well as the original box must be returned at the same time. You will pay the return shipping cost. 2) We provide 6 Months warranty for our product. If there is any problem with the product, we will provide proper solution for the problem. Please try to contact us if there is any question, neutral or negative feedback will not resolve the problem. We will give 100% satisfied solution. If you have any questions about this product by SMETA, contact us by completing and submitting the form below. If you are looking for a specif part number, please include it with your message.